Need an appetizer in a hurry? 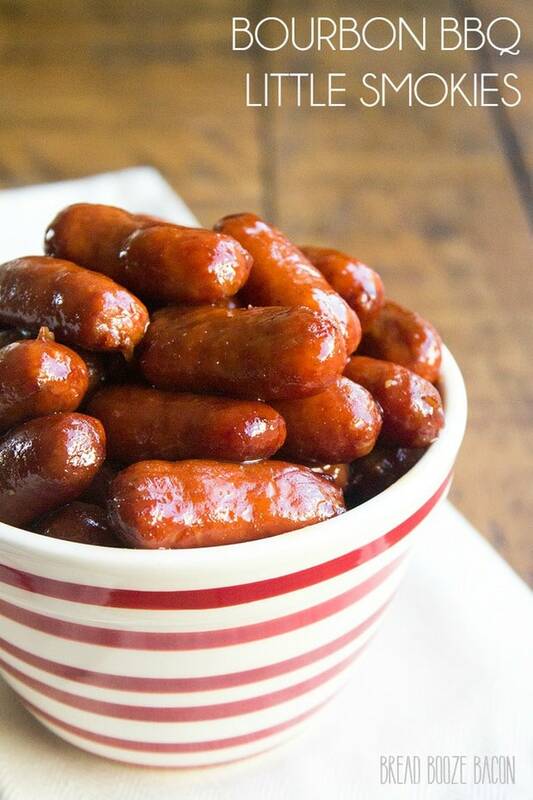 Take a look at this list of Quick Easy Ways to Make Little Smokies. You’re sure to find something that will please even the pickiest of your friends and family. 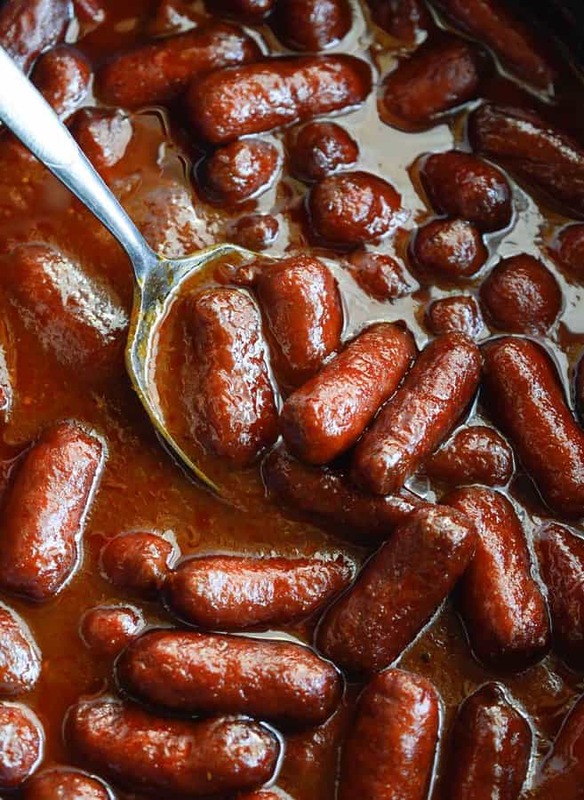 From bacon wrapped smokies, to a chili cheese smokie casserole, this list of Quick Easy Ways to Make Little Smokies will keep your party guests asking for more! These recipes are easy to make and always delicious. Get your ingredients ready and GO! 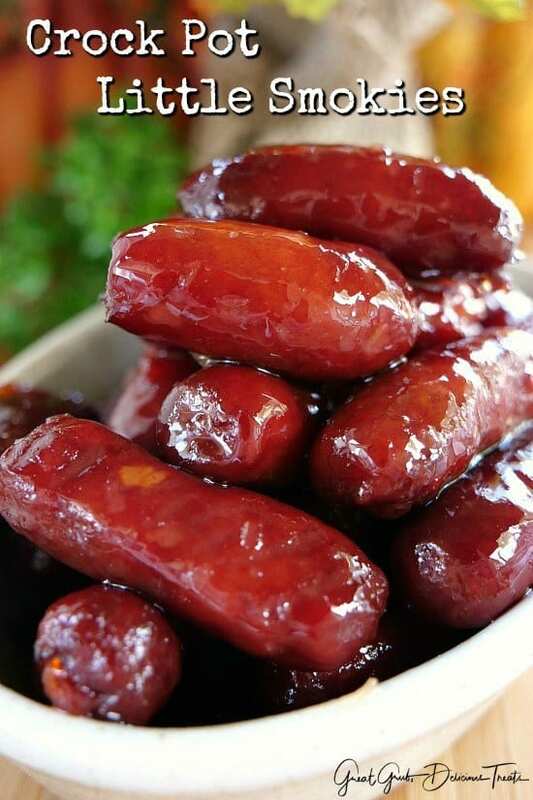 Choose from Bacon and Brown Sugar Wrapped Smokies, to an easy Sweet and Tangy recipe for little Smokies. No matter which you decide, these recipes are Budget Friendly, delicious, and easy to make! Scroll down the list of smokies made 15+ different ways and find your favorite. They are the perfect appetizer to make anytime you want something hot and delicious! 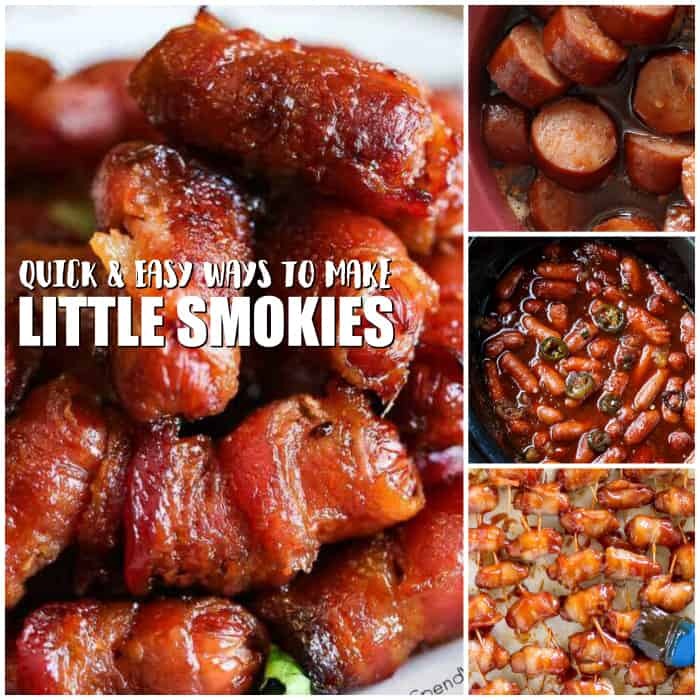 From Bread Booze Bacon :: Click HERE for the RECIPE Bourbon BBQ Little Smokies are a flavorful appetizer that’s easy to make and oh so good! From Wonky Wonderful :: Click HERE for the RECIPE Do you need a quick and easy appetizer for the holidays or game day? 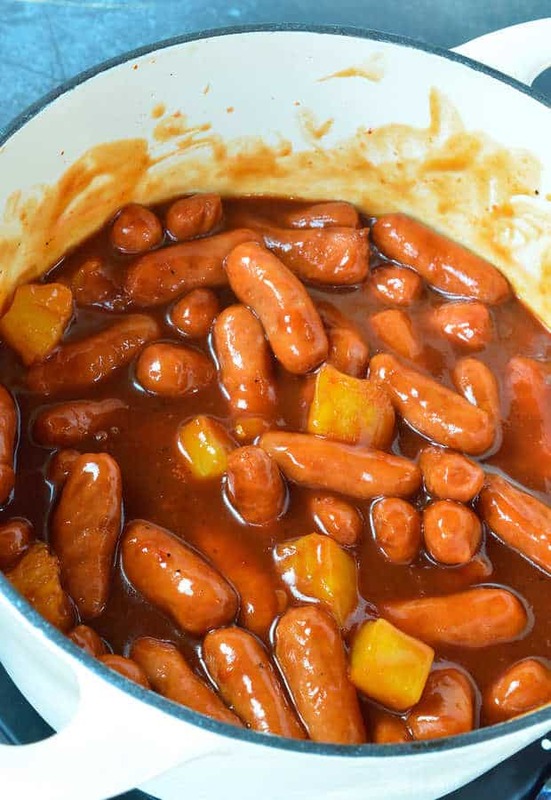 This Spicy Pineapple Stovetop Little Smokies Recipe takes just 4 ingredients and is ready in less than 30 minutes! You will actually get to enjoy time with family and friends thanks to this sweet and spicy sausage recipe! 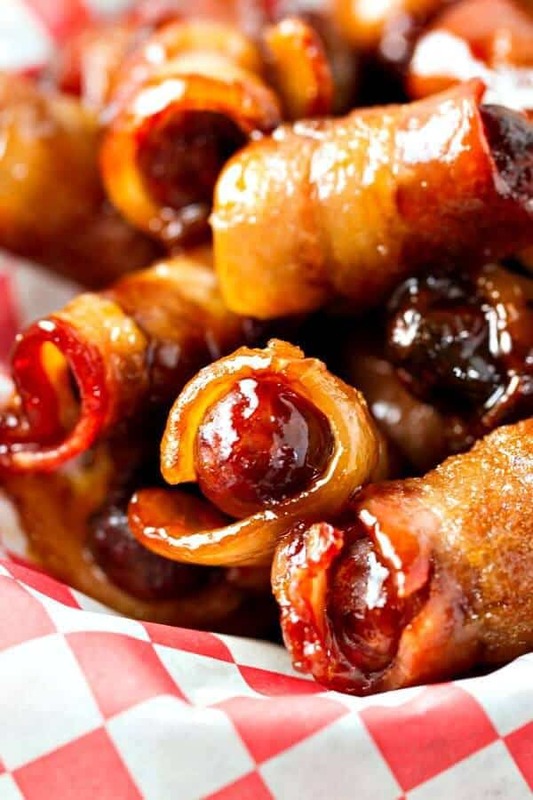 From Culinary Hill :: Click HERE for the RECIPE Bacon Wrapped Smokies are salty, sweet, and insanely addictive. The homemade barbecue sauce is just two ingredients and everything is baked to succulent perfection! 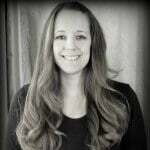 From A Southern Soul :: Click HERE for the RECIPE Sweet & Tangy Little Smokies made in the crock pot. Just grab your slow cooker, mix up the 5 delicious ingredients in the recipe and you are on your way to scoring a goal, basket or a touchdown! 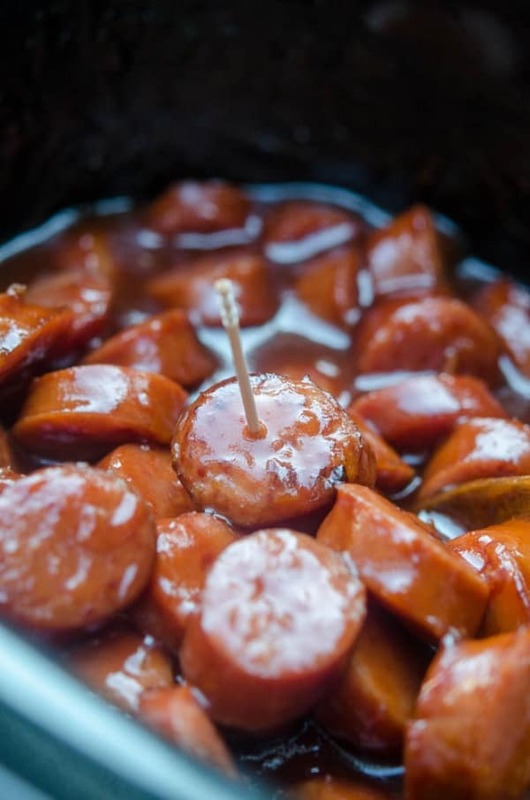 From Wonky Wonderful :: Click HERE for the RECIPE Apple Barbecue Slow Cooker Little Smokies are the perfect holiday appetizer! 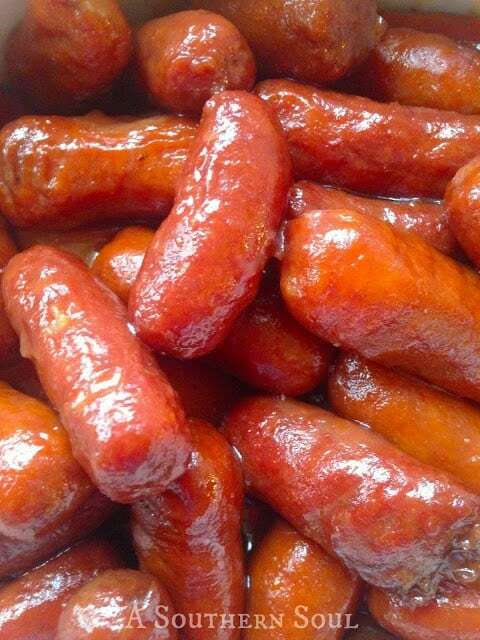 Mini sausages cooked in your crockpot and slathered with a mild, sweet sauce. 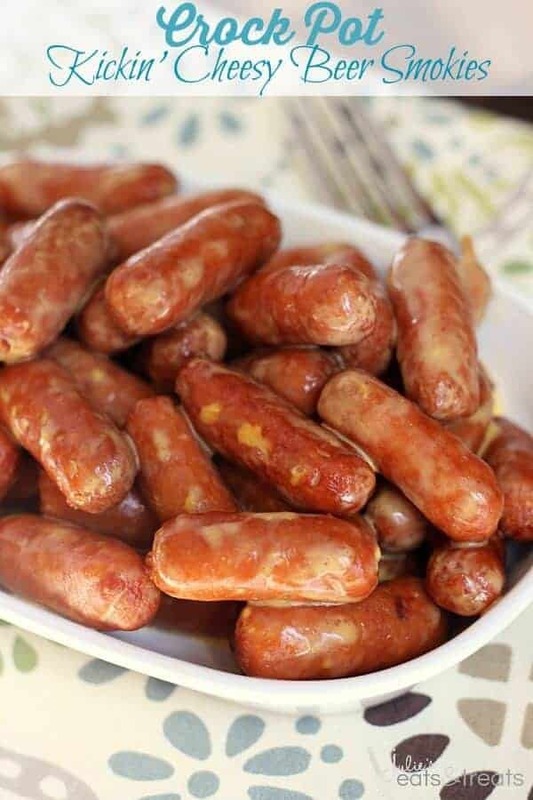 From Julie’s Eats and Treats :: Click HERE for the RECIPE Crock Pot Kickin’ Cheesy Beer Smokies ~ Your Favorite Smokies Loaded with Beer Cheese Sauce and Tabasco for a Kick! 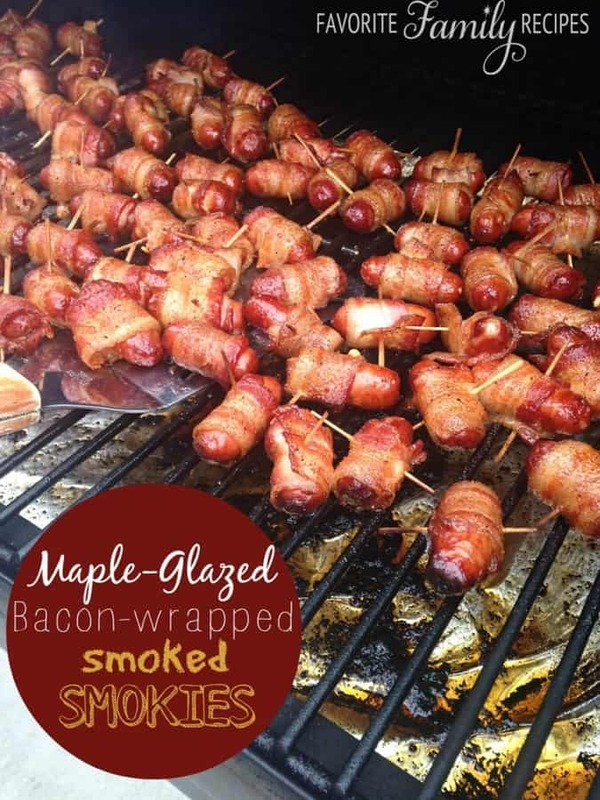 From Favorite Family Recipes :: Click HERE for the RECIPE These Maple Glazed Bacon Wrapped Smoked Smokies are a perfect balance of sweet and savory! They are smoked on the smoker which takes them to a whole new level! 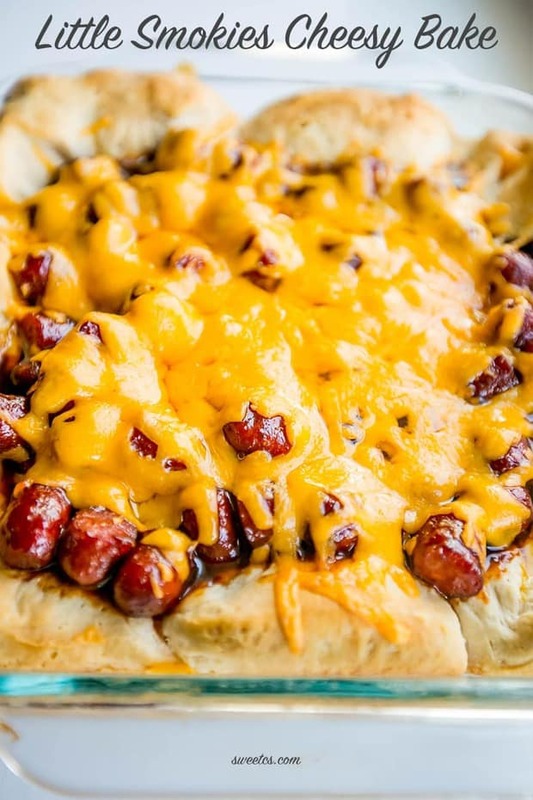 From Sweet C’s Designs :: Click HERE for the RECIPE This easy cheesy BBQ little smokies casserole is a delicious 4 ingredient bake that is so simple anybody can make it! Always a huge hit with our family! From Great Grub Delicious Treats :: Click HERE for the RECIPE You know, you can never have enough appetizers during the holidays. 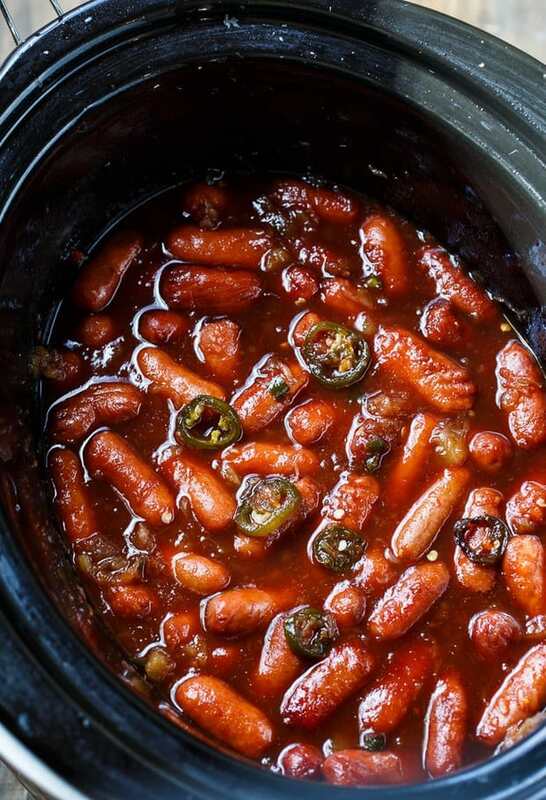 Here are some super simple, no fuss, tasty, crock pot little smokies that are definitely a hit and perfect to serve for the upcoming holidays. 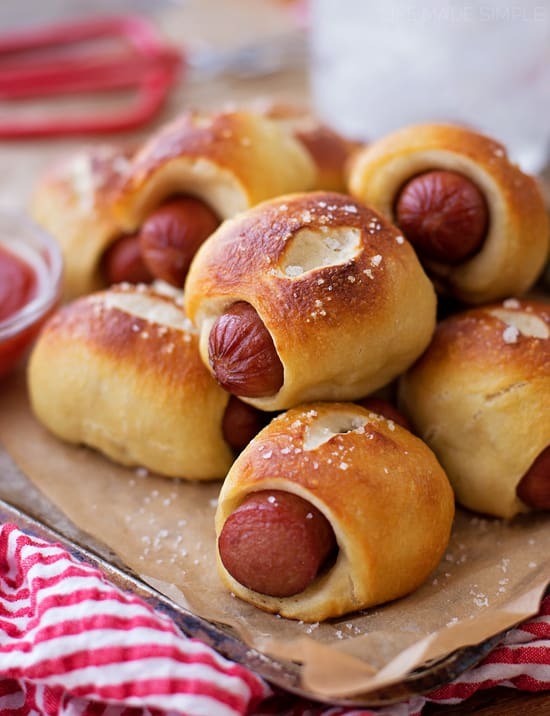 From Life Made Simple Bakes :: Click HERE for the RECIPE These mini pretzel dogs are boiled and baked to perfection! They’re perfect for parties or any day that ends with a y! 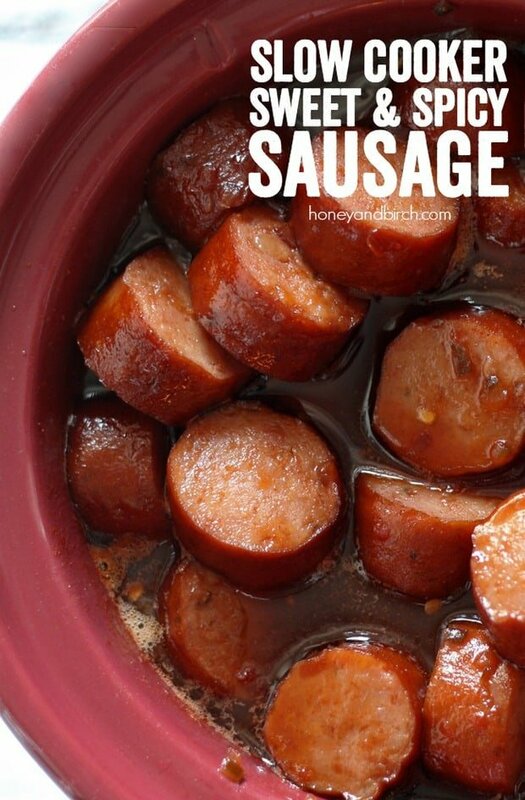 From Valerie’s Kitchen :: Click HERE for the RECIPE Smoked sausage combined with a sweet, tangy BBQ sauce mixture that stays warm in the Crock-Pot for the duration of your game day party. A classic party snack and a sure-fire crowd pleaser. From A Night Owl Blog :: Click HERE for the RECIPE Our Slow Cooker Sweet Spicy Sausage is the perfect blend of sweet, spicy and smoky and is sure to be your new favorite appetizer! 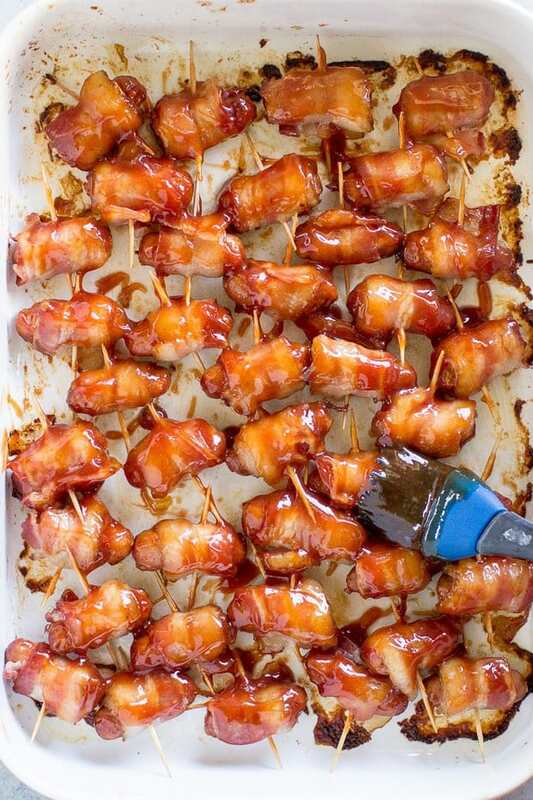 From Spend with Pennies :: Click HERE for the RECIPE These bacon wrapped smokies with brown sugar make a great appetizer! They are easy to make and can easily be made ahead of time & they freeze well! 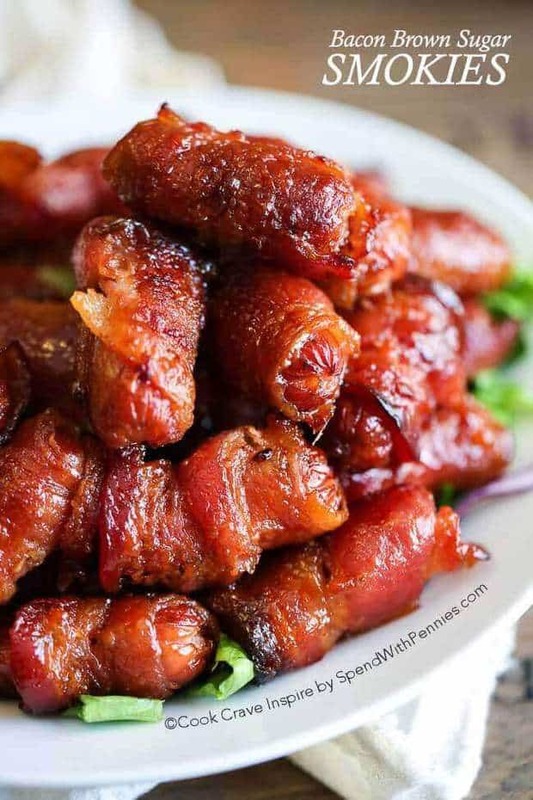 From The Wicked Noodle :: Click HERE for the RECIPE These bacon wrapped smokies have just 3 ingredients and they’re so simple to throw together. Double the batch, they fly off the tray!